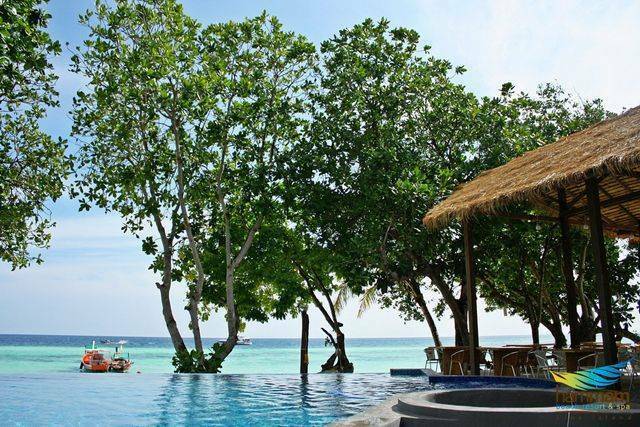 At Hammam Beach Resort & Spa provides four types in total 18 of comfort accommodations consist of Deluxe Villa, Garden Beach Villa, Family Beach Villa and Beach Front Villa. 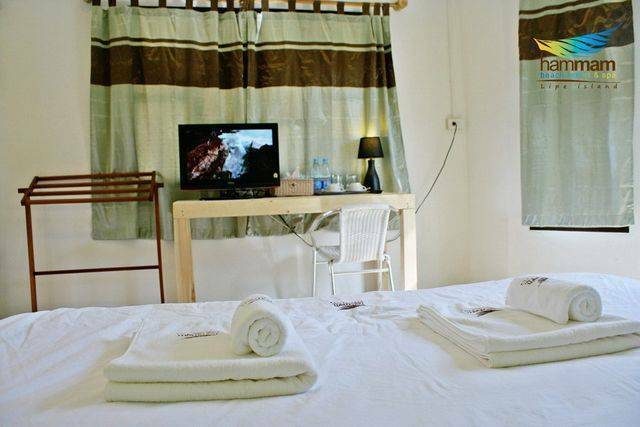 The entire property has carefully designed with individually furnished and decorated to ensure our guests of maximum comforts. 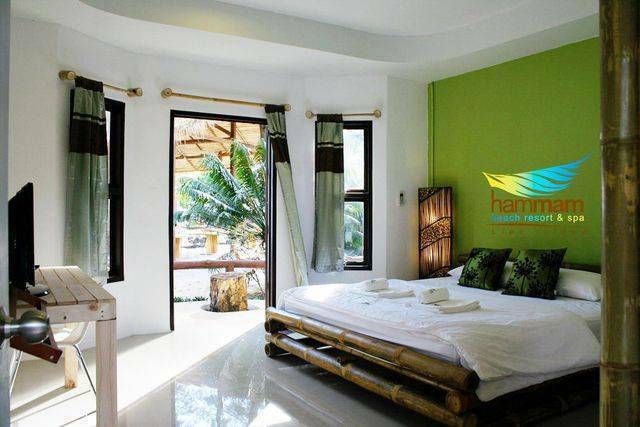 All rooms are provided a good sized balconies of each where you can relax and take in the breezing and view. 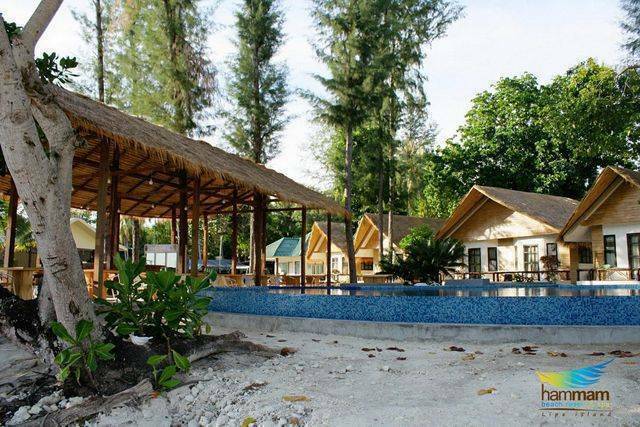 Our Swimming pool with large beach front sunbathing area and Beach Bar & Restaurant are awaiting you for your Holiday activity. 7 days before arrival date. Failure to comply with fully booking value will be charged. Daily coach departs from Bangkok southern bus terminal (Pin - Klao Rd.) to La - Ngu district at Satun province which is approximately 13 hrs. 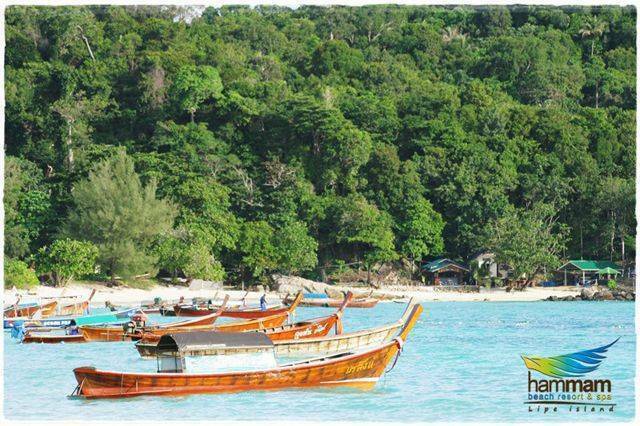 Take the pick-up truck from La - Ngu town to Pakbara Pier and get the ferry speed boat and then the long tail boat to Pattaya Beach, Koh Lipe. Daily flight from Bangkok Domestic Airport to Hadyai Domestic Airport or Trang Domestic Airport for 1. 45 hours. Arrive at Hadyai Airport. Take a minibus from Hadyai train station or charter taxi from Sapandam (bridge) for 1. 30 hours drive to Pakbara Pier at La - Ngu district. Arrive at Trang Airport. Take a minibus from Trang train station or charter taxi from Trang Sport Stadium to Pakbara Pier at La - Ngu district in Satul province for 1. 30 hours drive. 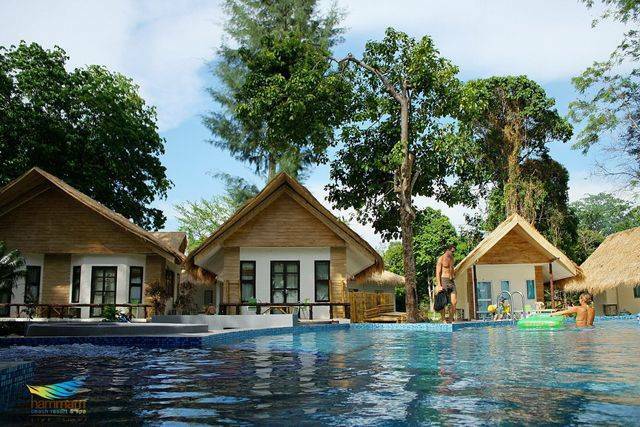 Then take the ferry speed boat and long tail boat to Lipe Resort .